VCpay is the only app you’ll ever need to pay at any South African online store! Instantly create mobile virtual MasterCards® so that you can shop online, buy mobile apps, take taxi rides or order food. 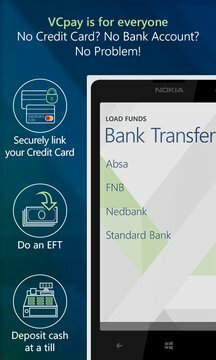 • Loading funds using a variety of top-up options, including EFT from your bank account, linking your credit/cheque card or depositing cash at the nearest EasyPay retailer. SECURE, CONVENIENT, ACCESSIBLE – VCpay is for anyone and everyone over 18 years old in South Africa! • Online security – You don’t need to use your own credit card or banking details to shop online, eliminating the risk of your details being compromised. VCpay creates mobile virtual MasterCards®, which means that you can pay for goods in South Africa wherever MasterCard® is accepted! 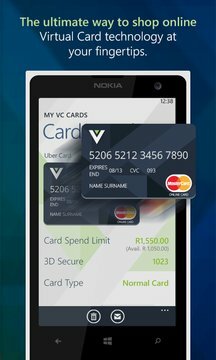 Download the app and start using VCpay today!